Today in currency trading the CAD (Canadian Dollar) was strong, and this drove substantial movement in this group of pairs. The live trading signals from The Forex Heatmap® are shown below. The CAD/CHF and CAD/JPY moved much higher, these pairs have trend support from the H4 time frame, but the larger trends are still pointing down, so we would scale out lots and manage profit on any buy trades. These two pairs should continue higher at least one more day. The EUR/CAD also sold off, this pair also has H4 trend support, but the overall longer term trend is up, so once again scale out lots as it continues lower. The trading signals from The Forex Heatmap® are shown below, this signal system provides live signals for 28 currency pairs. It is a powerful live trade entry management tool based on parallel and inverse analysis and individual currency strength. Today in forex trading the CHF/JPY had a buy signal on The Forex Heatmap®. 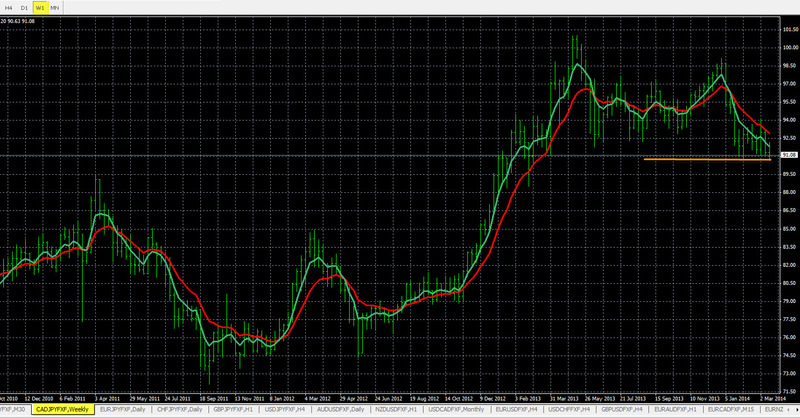 The Japanese Yen (JPY) was weak on all pairs, driving price movement and trading opportunities. 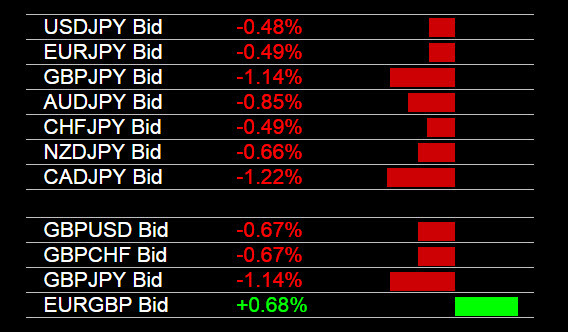 There was also some CHF and CAD strength in the market today. This drove the CHF/JPY into the resistance area at 116.50. We would scale out lots or exit at this heavy resistance level. 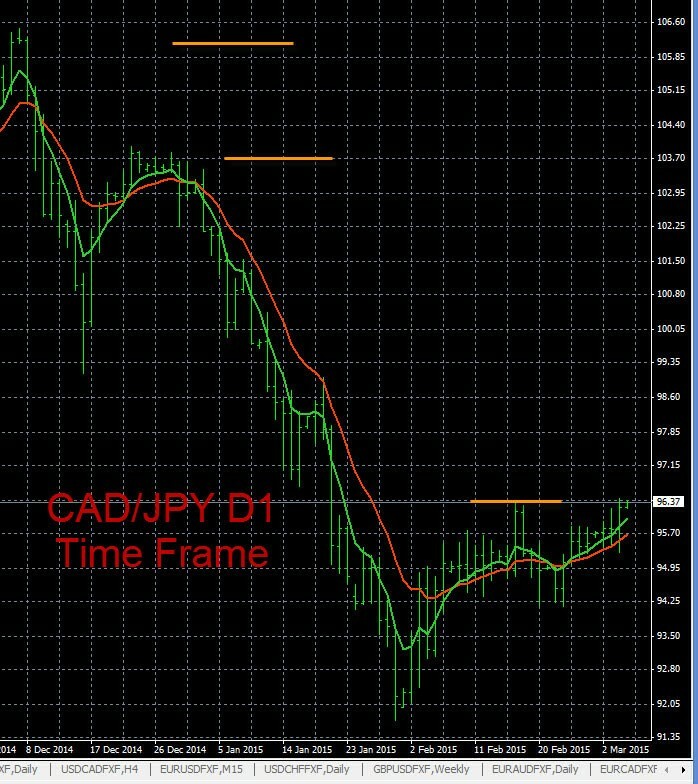 The CAD/JPY also moved higher and although the trend is still strong on this pair, it also has levels of resistance nearby just ahead of the current pricing. The trade signal system you see below for the JPY pairs is The Forex Heatmap®, it gives live signals on eight major currency groups and 28 pairs. It works on the principle of parallel and inverse analysis and currency strength. The CAD/JPY is trending lower on the larger time frames. 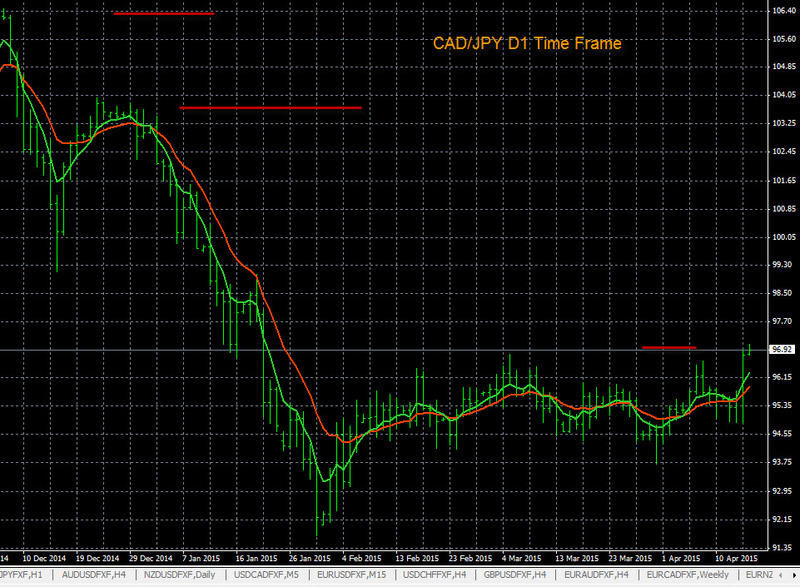 The image below shows the down trend on the W1 time frame for this pair. The trends of the market as a whole are showing quite a bit of Canadian Dollar (CAD) weakness, which is driving a lot of price movement. Below the current support levels, noted by the yellow line, this pair has excellent pip potential to continue much lower in the trend. The trend indicators used for the analysis are moving average trend indicators provided to our clients by Forexearlywarning.